We are using a new service to notify clients whenever we have scheduled system maintenance or a technical issue that affects site performance. Aside from tracking SNworks services it will also track 3rd-party services used by many sites such as Disqus, Google Apps and GitHub. The new site is available at http://uptime.getsnworks.com. 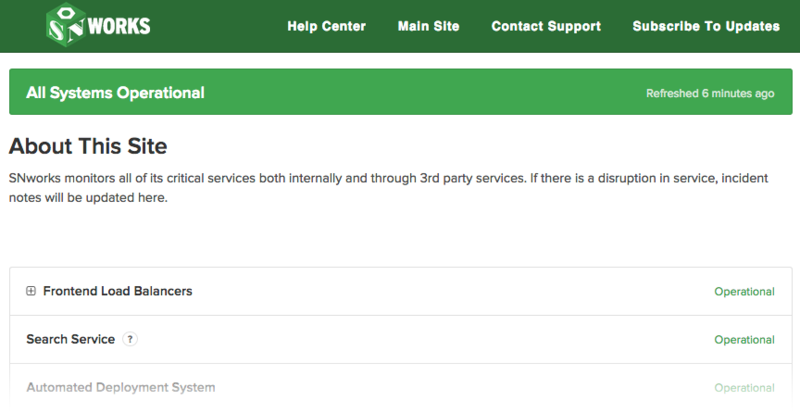 You can subscribe to receive notifications of all system issues or just check in if you are having an immediate issue. This is the system that will be updated first when any issue occurs. Please share this site with professional staff and student leaders who work during production times.